Pretty as a picture, our Amish Pine Large Storage Bench makes a lovely addition to your dining room, hallway or foyer. Enjoy your morning coffee or tea or some cozy reading time snuggled up on this solid pine bench. Accentuate your picture window with this charming pine storage bench placed underneath and enjoy the view as you sit comfortably. This solid pine furniture makes a great shoe-changing station while looking lovely and inviting. The pine bench opens to provide spacious storage for shoes, slippers, boots, hats, gloves, blankets and more! 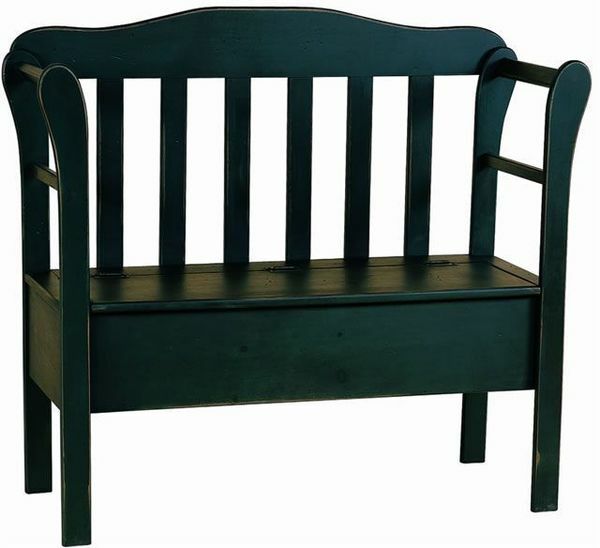 Enjoy this unique pine bench that will easily complement your cottage style or shabby chic furniture. Consider our Amish Pine Hall Table to pair with this lovely pine bench. Made in America, this Amish Pine Large Storage Bench is yours to design. Have it unfinished, or select the stain or paint you like best.